Home cafe coffee coffee culture culture fast food food food and beverages hot and spicy junk food Navsari spices spicy GAURAV NARANG TAKES THE CULTURAL ROUTE TO NAVSARI "Coffee Culture"
GAURAV NARANG TAKES THE CULTURAL ROUTE TO NAVSARI "Coffee Culture"
With the name Navsari means new home in Persian, and Coffee Culture (CC) feels privileged to have a place in this home. 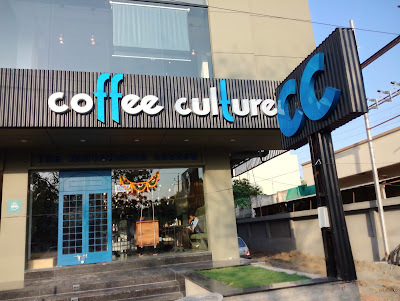 Coffee Culture is opening its new joint in Navsari, with the Parsi connection this city has, and following the route of having it own coffee culture with a mix of elements from the city the Restaufes opens up is by itself a unique concept. The Coffee Culture recently won an award of Youngest and Most Promising Coffee Chain Award and it is now inaugurated in Navsari by MP of South Gujarat Mr. C.R.Patil on 7th May 2017. Coffee Culture Cafes are superior Restaufes lounges with quirky ambiance & lively atmosphere. The Restaufes lounges are everyday hangouts for all segments of crowd. Coffee Culture has lot more to offer other than just the coffee, you may select from a wide variety of menu from Sizzlers, Pizzas & Burgers – It has something for each taste buds. 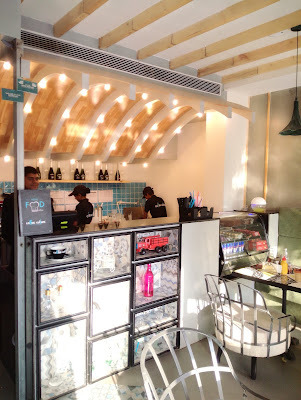 As coffee culture has infused the Parsi Community Culture you will certainly fall in love with the tiny-little bits of the culture in the ambience right from that swing seats for a playful outing, to minute detailing of the checkered tiles to ceiling and a beautifully colorful door that you won’t be able to stop yourself from taking a selfie. All this blended with the perfect lighting for every corner let’s you tell and create more stories. “Coffee Culture” is not just any usual café. Coffee Culture is a nation in itself. It falls somewhere between a café and a restaurant. The beauty of the concept is that one can casually dine any time of the day. “At CC, we have developed a culture so unique; it is amazing to see what you can do when you are not tied. We have outdone ourselves by serving live food at our Restaufes. Yes we call ourselves Restaufes. We are changing the face of the eatery ecosystem by being unconventionally conventional.”- Say’s Gaurav Narang, Founder Coffee Culture. Spend the time with your family and loved ones luxuriously at this beautiful Persian style Restaufe – Coffee Culture. Coffee Culture" is a brain child of Director Mr Gaurav Narang & he nurtured the brand with his passion and vision. An idea of developing a Coffee brand with a unique café experience came in year 2003. It took almost a year of work to come up with his first outlet of "Coffee Culture" in Suratand it was warmly welcomed by the city. And now the brand "Coffee Culture is growing with its Lucknow, Jabalpur, Vapi, Kadodara, Bardoli outlets. And many more to come this year. Coffee Culture is now known for its lounge setup with huge offering of Delectable/Fusion Cuisines. From Hot Coffees to Sizzling Food, its Lively ambience is the most loved place for youth in daytime and families during evenings. Skilled yet friendly staff is always there on their toes to deliver excellent menu and quick service. Coffee Culture being a known brand always try to give its customers a unique experience with its Festivals and promotional events. The main motto of the brand is to give more then expected to its customers.